shedding the excess that each day we renew. Its tininess is a feat of scale, but it cannot disappear. that all is incremental, deciduous and undecided. If ‘The Tyger’ was about the greatest of subjects, contemplating the divine, ‘The Shape of Nothing Happening’ is about the smallest and most insignificant. Dust. 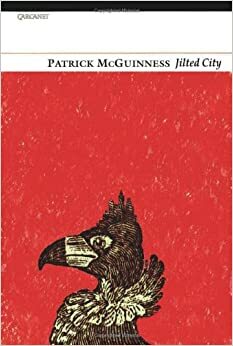 McGuinness is a writer who is interested in spaces, places and identity. In this poem he takes us to spaces we ignore, spaces in which we spend our days but rarely pay attention to, that which slowly builds on ‘dado rails’, ‘skirting boards’. One of the things I love about this poem is just that. That poetry can be made of anything. Even ‘The shape of Nothing Happening’. How can nothing happen? But more (or should it be less?) than that, it’s not even solid. Just a shape. So much of my pupils’ first attempt at poetry was always trying to say something important. A real poet knows that a poem can be about nothing, and still hold great power. The poem holds that paradox. It reminds us that even our own domestic world, even those elements we carefully decorate (‘bevelled’, ‘paint’) become forgotten, ignored. McGuinness plays with size, the gap behind the sofa is a ‘gulf’, but also the ‘small domestic void’. And dust itself is a paradox. Dust’s ‘tininess is a feat of scale’ yet, ‘it cannot disappear.’ But the poet isn’t just interested in dust. But he recognises something else too. Even when we are ‘busily outliving’ our own lives, he recognises that like dust we are, ‘particles slow dancing in a shaft of light’. It’s a beautiful line. There is beauty to us, there is renewal, something eternal even. After all, ‘it cannot disappear’. Perhaps the only note that doesn’t quite fit is the claim that ‘there are no absolutes’, followed by an absolute statement, ‘all is graded’. Is it another paradox? Perhaps. The last line makes up for it. So much of what works in poetry is sound and it’s essential to this last line. The paradox of our existence remains. ‘all is incremental’ yet also ‘deciduous’. And then that beautiful echoing of sound, ‘deciduous, and undecided’. The pause adds to this final word as does the negative prefix. Our lives, no matter who we are, are uncertain, unstable. Like every good poem, this makes me see the world anew. From the very first emphatic word, ‘Dust’, McGuinness makes me appreciate how small we are, how tiny existence is. We are ashes to ashes, we are dust to dust. And yet, like dust ‘slow dancing in shafts of light’ we are beautiful beyond compare. As a teacher, if I wasn’t sure about what to teach, the following poem was the one I usually turned to. It worked with pupils of all ages, from year 7 right through to A Level students. 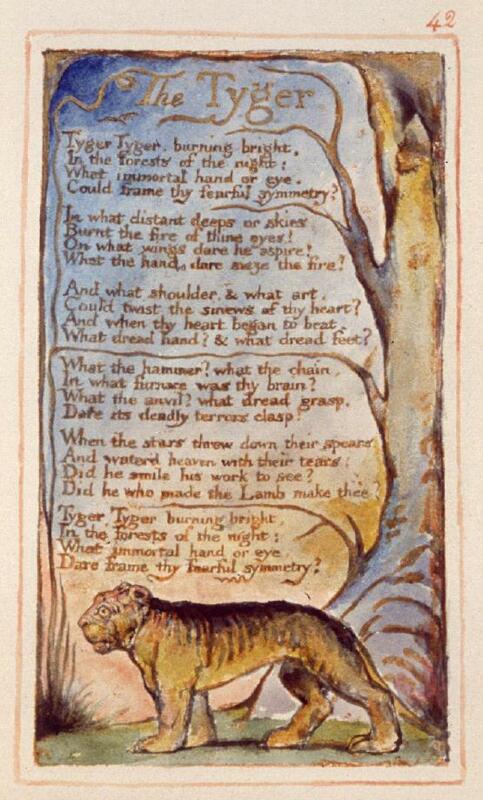 As a result, it seems fitting to start what I hope will be an occasional series of my favourite poems and what they mean to me with Blake’s ‘The Tyger’. Here’s the poem, comments to follow. At first reading, this poem like many of Blake’s, seems so simple. The four-line stanzas and the rhyme scheme makes it read a little like a children’s poem. A child can understand it. It’s a tiger, right? And that ‘burning bright’ is a great verb/adverb combination. Of course, he’s like fire; he’s powerful, dangerous, untamed. And he’s also awesome, awe-inspiring, beautiful even. But what about all those questions? What’s Blake asking? It’s not really about a tiger, is it? Well, it is. And it isn’t. What Blake is asking is how come this thing exists? This beast, both incredibly powerful and incredibly beautiful, how could something create it? What must that thing be like? Wouldn’t that creator be even more powerful, even more fearful, ‘what dread hand? 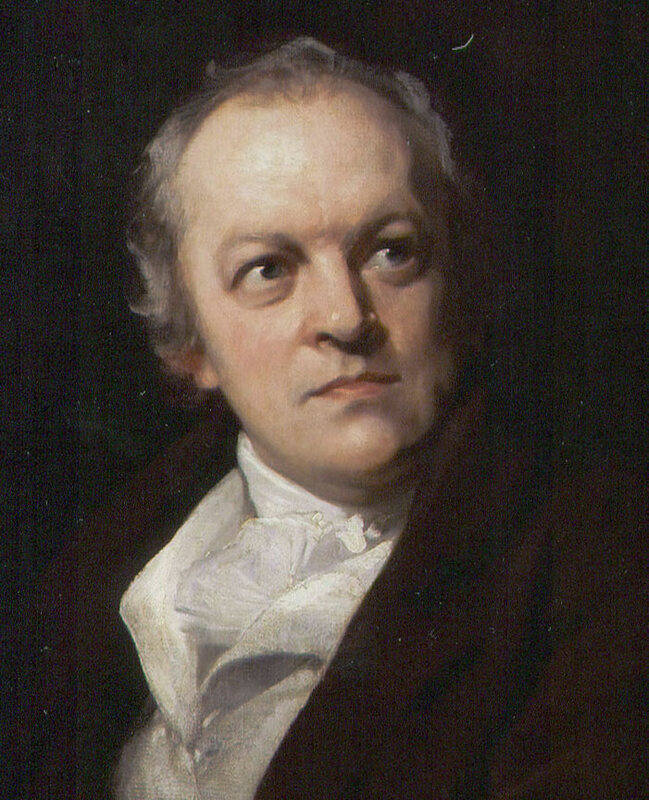 & what dread feet?’, ‘what dread grasp/Dare its deadly terrors clasp.’ How can this God make the Lamb (the subject of another Blake poem) , innocent, pure, a symbol of Christ, and how can he also make the tiger? Blake is asking what is this creator like? How come this world is as at is? If there is a God, he’s saying, he can’t simply be harmless. He must also be powerful, awesome, untameable. Yes, it’s about a tiger but it’s also about where we come from, about who we are, our ideas about the universe and how this all began. Blake takes us from the tiger to the ‘distant deeps or skies’, to stars throwing ‘down their spears’. It makes me feel small and insignificant yet it’s also awe-inspiring. It makes me touch something eternal, beyond what I can fully know or understand. And in a world where every fix must be instant, where everything must be controlled and ordered, this poem leaves me, like the questioning poet, in a state of wonder. Most of the time, I tend to read whatever’s on the bookshelf or whatever’s been recommended by others. Here’s what I’ve enjoyed reading this year. Why not let me know what you’ve enjoyed in the comment thread which follows. It’s difficult to think of a better novel. ‘Anna Karenina’, ‘Great Expectations’ perhaps? The experience of reading ‘Middlemarch’ is one filled with riches. Ostensibly, it is about Dorothea Casaboun, but it is really about so much more. Eliot seems to consider a whole swathe of Victorian society as well as meditating on life, death, love and relationships. It’s a novel which yields more and more each time you read it. A work of genius. Shortlisted for the T.S. Eliot Prize and surely a strong candidate for the Wales Book￼ of the Year, Petit’s collection is mostly based around her father’s death and Paris. Striking metaphors create new ways of seeing people and the world in which they belong. Birds play a prominent role and ‘How to Hand-Feed Sparrows’ is a breathtaking poem. Like the whole collection, it is a poem of tenderness and maturity. the blackout of his mouth. In some ways this novel is the complete antithesis of ‘Middlemarch’. The prose is sparse, the ‘action’ monotonous. But that’s the point. Eggers has created an American Everyman and while it reads as a fascinating study of ageing and impotency, it also reads as a parable of America’s place in the world. With echoes of Beckett and ‘Waiting for Godot’, Alan Clay, his surname a suggestion of his bearing, waits with his new technology for the King that he hopes will be impressed and save his stuttering life. Humorous and full of pathos it’s a bold novel from one of the most intriguing voices in contemporary fiction. It’s not been a particularly active year for the blog but, for what it’s worth, I thought I would collate some of my favourite cultural moments of 2014. Let’s start with those books published this year which gave me most pleasure to read. If you’ve never read a novel by Robinson before, your life is about to be enriched. ‘Gilead’, her first novel for 24 years, reflected on the life of an elderly preacher John Ames through the prism of the parable of the prodigal son; four years later, ‘Home’ told the same story through the voice of the daughter of Ames’s closest friend, Boughton; now, Robinson returns with the narrative of Ames’s much younger wife, Lila. Robinson’s novels are meditative, focused on character much more than action, and they are novels to return to again and again. There is such beauty in the prose, in the care she places on her characters and the world in which they live, that in their seeming insignificance they become treasured possessions. ‘Lila’ is a novel to spend time reading. And that time this year made me see the world in all its varied beauty. I’m not an Amis fan. Or, at least, I wasn’t until I read this. I’d enjoyed ‘Experience’, his autobiography, but since the earlier novels, couldn’t really get along with him. However, ‘The Zone of Interest’ is an astonishing piece of work. Using three different narrators to recount the horrors of the holocaust, Amis injects it with fierce humour and great pathos. The absurdity of the comedy highlights the seriousness of the events while also suggesting something about existing in a godless universe. The last third tended to go over the same ground as Amis tried to pull the different strands together and, as a result, failed to sustain the impact of the rest of the novel. Yet, it had the power to make me laugh loudly as well as the power to make me feel the heat of tears. And that’s a feat in itself. There are few writers I admire more than Updike. His work was so prolific and of such quality, it’s hard to compare him to anyone. What Begley’s biography does is link the writer’s work to his life. Indeed, the best moments are when Begley spends time on what Updike wrote, especially the discussion of the short stories. It may be rather reverential, but the book does display Updike as a flawed man, one who deeply regretted some of his decisions. It shed light not only on the man but on his work and after reading it, I returned to the Olinger short stories and saw them in a new light. Begley has written a readable, fascinating biography. It would be great if you could tell me in the comment thread which books you enjoyed reading most this year. Hopefully, the next part will cover books I’ve enjoyed this year that weren’t published in 2014 while I’m also hoping to cover my favourite albums. On a Sunday afternoon this year, I received an email from a close friend with the simple title, ‘Dannie’. I understood at once what it meant. One of the greatest Welsh voices of the last seventy years had finally been silenced and the world seemed a poorer place. Dannie Abse’s last collection was ‘Speak, Old Parrot’, the title itself suggesting his own awareness of his fragility. Indeed, he expected it to be his last published work as he neared his ninth decade. The first words of the first poem, ‘Talking to Myself’, suggested that this very personal poet was mining on his own meditations on age and frailty, ‘In the mildew of age/all pavements slope uphill’. It is a beautiful poem despite its subject matter. Contemplating how ‘I wasted time’ and ‘Now Time wastes me’, it ends with a desperate desire for Time be held at bay, to be spoken words of comfort, calling on his muse to be given the opportunity to continue to write, ‘Quick, quick/speak, old parrot, do I not feed you with my life?’ That final question (is it claiming a truth or is the poet doubting its veracity?) is a fitting opening to his final work. As with so much of Abse’s work, it doesn’t shy away from the darkest of subjects yet it imbues it with dignity and a desire to embrace the fullness of life. I first came seriously to Abse’s poetry through teaching. I’d leafed through his collection, ‘Welsh Retrospective’ before, was familiar with some of his most famous poems like ‘Epithalamion’ and knew that he was a Cardiff City supporter. Comparing the latter collection to Larkin’s ‘The Whitsun Weddings’ meant some proper reading was required. It also led to one of the best things about teaching, hearing others’ voices contemplating the poems, teaching me as we read along together. What was striking was how similar he was to Larkin in that he also, even in his youth, wrote about Time and change and death. However, while Larkin wrote ‘Reference Back’, the title itself suggesting a certain coldness, a detached view of his own experience visiting his mother, Abse wrote ‘A Winter Visit’; the memory is distinct, personal, a memory that is still being remembered and considered. Larkin, considering the way time changes us and holds us, memorably wrote in ‘Dockery and Son’ that ‘Life is first boredom then fear/Whether or not we use it, it goes’. Abse, considering the same truth in ‘Return to Cardiff’ also understands that time brings loss and change. The ‘mile-wide Taff’ is ‘now a stream’. Yet that same river has its beauty ‘as light slants down a different shade’. Rather than everything being negated by the great leveller, Abse prefers to face the reality of change and decay and yet accept it and celebrate life for what it is as he ‘walked on’ at the end of the poem. In ‘St Valentine’s Night’ the poet is aware that ‘scowling Thanatos keeps trying/To recite the 11th commandment: Thou shalt die.’ Simlarly to Larkin, he knows that he ‘cannot make our sun/Stand still’ but unlike the English poet he wants to ‘make it run.’ Perhaps there’s nothing he celebrates more than love, and perhaps there is no greater poet of married love and family love. Losing his wife, Joan, in a car crash in 2005 led to some of his greatest work, in his poetry and in the moving book recording his grief, ‘The Presence’. But even in mourning, his mind would turn to the joyful memories of marriage in ‘Postcard to his Wife’ and ‘The Malham Bird’. Again, joy and sadness share the space. The memories are celebrated, ‘…we lay on our shadows naked,/more than together…’, a balm for present grief in ‘…the vanished gardens of Paradise’. What I love about Abse is his ability to write about everyday experiences and invest them with honour, dignity and humanity. In the darkness, he notices the beauty, the beauty we might often miss. It’s no wonder that the world felt a poorer place that fine Sunday afternoon. And yet, as I write this I realise that he hasn’t been silenced. His voice continues to speak and will speak as long as his work is read. Yes. Speak. Speak, old parrot. 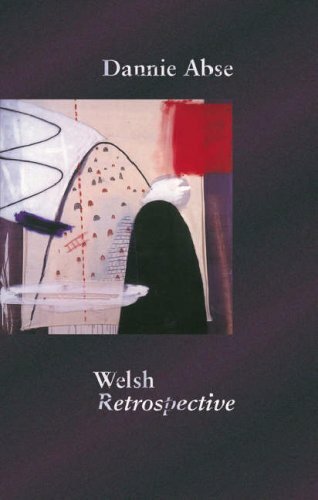 Dannie Abse’s ‘Welsh Retrospective’ is published by Seren, ‘Speak, Old Parrot’ by Hutchinson. I don’t know why music has such a hold on me. For some reason, it reaches down into my very guts and won’t let me go. I’m also a bit partial to all things Welsh. So, Welsh music? You probably get the picture. In some ways, it’s a golden age for Welsh music. Bands like the Manics and the Super Furries are admired far beyond the border while there’s a rich vein of diverse music being performed, recorded and released in all corners of the country. Bands like Merthyr’s Pretty Vicious are attracting attention before even playing a gig and Radio Wales DJs like Bethan Elfyn and Adam Walton are filling Saturday nights with the best that Wales has to offer. Part of that confidence and celebration of homegrown music was seen in Cardiff over the last 24 hours, thanks to Huw Stephens, John Rostron and Marc Thomas, as the Welsh Music Prize hit town. Having been asked to be a juror this year, it was a privilege to see it come to a culmination with last night’s gig at Clwb Ifor Bach and tonight’s award ceremony at the Sherman Theatre. The real privilege of course was being a juror in the first place. Listening to recommended bands I’d never heard of, sharing the enjoyment of bands I’d loved for a while and being made aware of the breadth and depth of what was going on in Wales was an absolute pleasure. Well, apart from having to whittle a long list down to my favourites. I still couldn’t manage it at the Welsh Music Prize gig. When I arrived, the finger-pickin’ loveliness of The Gentle Good convinced me that he should really win the prize. By the first few chords of Gulp’s opener, I already doubted my own judgement. In the end, neither of them won. In a field which also consisted of the best Manics album in a while, Gruff Rhys’s wonderful ‘American Interior’ and Cate Le Bon’s brilliant ‘Mug Museum’, it was a debut album that struck the right chord with the judges. Joanna Gruesome’s ‘Weird Sister’ with its searing guitars and melodic pop has all the snarling energy that make you feel as if you’re 17 all over again. And that can’t be a bad thing. It was apt that David Owens, who presented the award, should have spoken so strongly before the opening of the envelope against the Welsh Government’s cuts to music. It must have been especially poignant for John Rostron who’s been personally affected by the politicians’ decision not to keep funding the Welsh Music Foundation. And it was a timely reminder that protecting a nation’s culture also means protecting its identity. The immediate future’s safe for now though, I hope. Like the others on the jury, I imagine, I’m already thinking about what will be on my shortlist for next year. To say that Owen Sheers and the National Theatre of Wales have some history would be an understatement. Their last collaboration, The Passion, not only garnered rave reviews from critics, it also made a whole town a theatre, its people its players. What strikes me as I speak to Sheers about the forthcoming Mametz, the latest collaboration between writer and theatre company, is that the motivation for the project isn’t merely trying to recreate a successful formula. There are more important issues at stake. There are voices to be heard. Voices we all need to hear. Mametz refers to Mametz Wood, the location where 4,000 Welsh soldiers lost their lives during the First Battle of the Somme in World War I. The writer first visited to research the lives of two Welsh poets who fought there, Llewelyn Wyn Griffith and David Jones, a poet who Sheers regards as “up there with Sassoon and Owen.” While he was there a grave was discovered containing a number of soldiers linked arm in arm. “The image stuck” says Sheers. It led to a poem but the poem is only a fragment of what inspired what is sure to be one of the most talked-about plays of the year. Sheers says that he follows in the tradition of a poet like Wilfred Owen who wrote that all poetry can do is warn. “No one likes a piece of writing that wags its finger at you from the page. The work of the writer is to present.” It seems a far cry from those politicians who have been battling to claim what the real lessons we must learn were from the events of a century ago. What strikes me about Sheers, whether in his poetry, prose or on stage (or forest, if you wish!) is that he gives voice to people. Ordinary people, people like us. People who often have no voice or whose voice isn’t being heard. It’s no wonder that those attending his plays have not been the typical audience you’d expect at the theatre. His poem, Mametz Wood ends with the image of those skeletons in the grave, arms linked, who were only with the unearthing of their bones able to sing their songs. Those are the voices he wants to hear, “If we’re going to commemorate, if we’re going to have a centenary, let’s hear from those young lads from Snowdon, Monmouthshire, the valleys. Let’s give those soldiers their space.” As the past informs the present, so those voices might inform our futures. The mixture of Sheers’ way with words, the National Theatre of Wales’ ability to make theatre fresh and exciting, the boundaries of stage and audience being broken along with the reasonably priced tickets make this production seem essential. I, for one, am enchanted by Sheers’ enthusiasm, longing to hear those voices brought to life and to hear what they have to say.